Responsive web design, introduced in 2010, has dominated the websites for past few years because of transforming the way for the businesses to build an online presence and let it be noticed by the wider users’ segment. 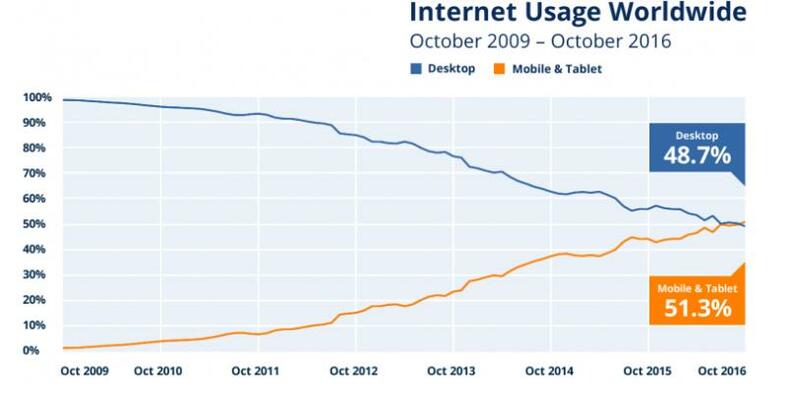 Responsive web design adapts to any screen it is used on regardless of device. The mobile website automatically reformats itself to deliver the best in class users’ experience; therefore, the web owner gets multiple benefits pertaining to branding, sale, profitability, growth rate, search results ranking, etc. Today, most of the business websites have been converted into responsive websites but the spree to perform better at one platform is continue with a focus on ‘speedy mobile user’s experience’. 65% of the total time over the internet is used on mobile devices. The average load time of U.S. retail websites is 6.9 seconds; however, 40% of mobile users say that longer than 3 seconds waiting period makes them drift to other websites. Therefore, even if you have the best designed responsive mobile web, the performance may not be up to your expectations because it might be taking more than 3 seconds for loading. If you leave the issue unattended, you will lose the battle of conversions. Up to the arrival of 2019, mobile speed has become more important because it affects SEO rankings more than ever before because of the introduction of Google’s mobile-first index. The benefits of paid ads on Google and PPC also get affected because of slow loading speed. Not up to the expectation, the overall user experience drifts the potential buyers to other mobile sites appearing faster. Facebook introduced an algorithmic change in August 2017 prioritizing the user experience; it makes the site speed more important issue to manage well. About 54% of mobile web owners say that their frustration increases with the increase of load time. Do we have some solution to this universal problem? Can you reduce the loading time without compromise with the volume of essential content to be uploaded? Most of the businesses under-invest for faster than today mobile experience despite knowing that it can unlock the improvement in revenue and brand’s establishment including loyalty. It is easy to manage the issue; still, it is neglected. 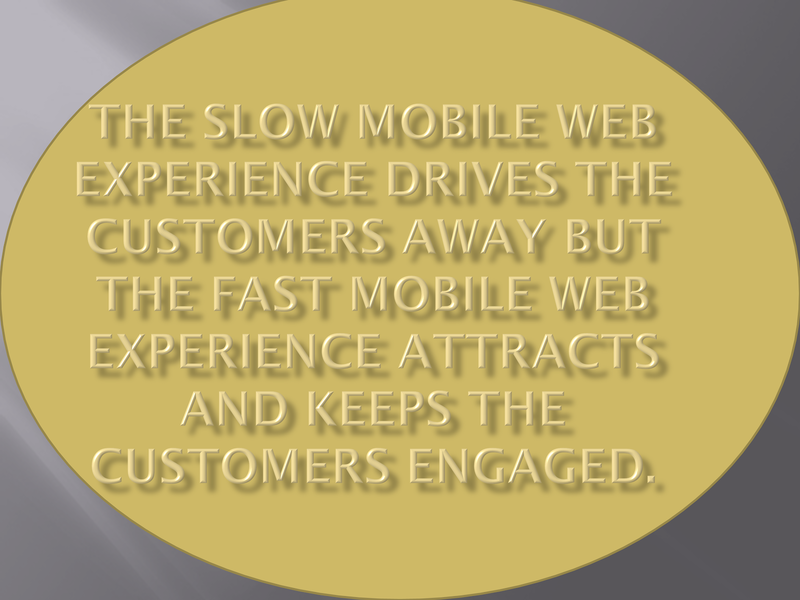 No matter, your website appears at good speed on mobiles today but over time, it is going to degrade. The successful brands accept that they got benefit by making faster mobile experience a top concern of digital marketing policy. Google PageSpeed Insights, Pingdom and Google Mobile Test are free to use tools to help you plan – what and how you should proceed to improve mobile user’ experience. Google PageSpeed Insights provides diagnostics by analyzing the web content. It evaluates if a web page can be improves in two areas: Time to above the fold load and full page loading time. Pingdom tests the web delivering speed. It details the breakdowns of web’s component needing improvement against close in rank sites. Google Mobile test tool shares the summary of web’s performance on 3G network. Web owners can request a detailed report also advising on what to do to speed up the web appearance. Measure & minimize server responding time: True, your mobile page speed depends upon web coding but it also depends upon server responding time. As per standards, the server should start transmitting the 1st byte of required information within 200 milliseconds after the request. Minimize the redirects: Redirects are being used intensively to take the visitors from one segment to another segment automatically to enhance the engagement but each redirect takes valuable milliseconds resulting in slower web page load. Minimize round-trip time: RTT is the time tak for transmitting request from mobile device to the target destination and the return of required data. You can measure RTT by pinging the address. RTT depends upon the connection source, transmitting medium, distance between the device and remote system, numbers of in-between nodes between, traffic volume, load over server etc. Upload above-the-fold webpage content before the below-the-fold web page content: You should place web page content first that the mobile user wants to see prior to the content that they might look later. The mobile page speed test report of Google recommend that you should prioritize the visible first content. Researchers suggest that if a web page doesn’t load within 400 milliseconds, the business is more likely going to lose the potential buyer. 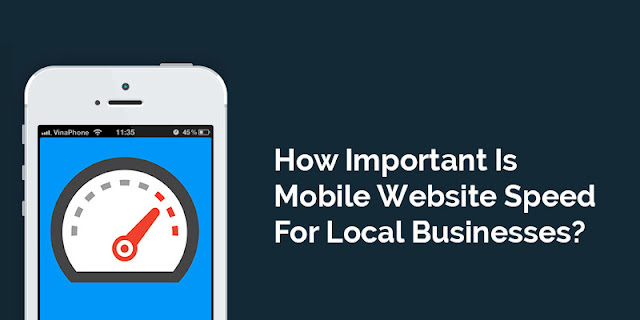 The mobile site design plays vital role in mobile site speed but other factors are also responsible for slowing down the speed. While planning to improve mobile web speed, test for each relevant issue. To achieve sustainable growth rate in completive environment, plan with Google’s line.